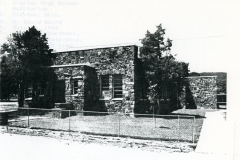 The Clayton high school auditorium is a single story, T-shaped (98′ vertically and 98′ horizontally) structure constructed of untooled and uncoursed native stone. Masonry and stone placement is excellent. The roof is flat with parapets capped with limestone blocks; entryways are recessed; window placement is by twos. Angular lines lend an art deco flavor to the structure. 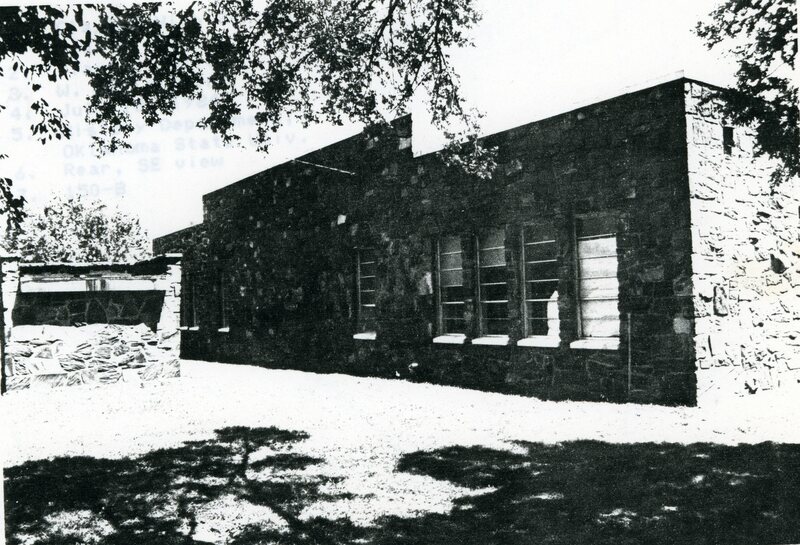 The building is surrounded by a WPA constructed drainage ditch that is well maintained, as the auditorium itself is. 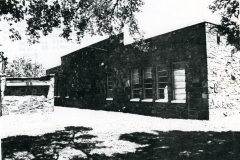 The building is significant because of the work opportunities construction of it provided relief roll laborers in the rural Clayton area, enabling them to attain a measure of economic security and self respect. The building also promoted community awareness and the presentation of theatrical productions, both of which raised spirits during difficult times. As a rural WPA school building, it is remarkable in its type (only one other auditorium as opposed to a gym/auditorium was located), scale/size and its allusion to art deco style. To the community it is unique architecturally because of its type, style, scale and workmanship. 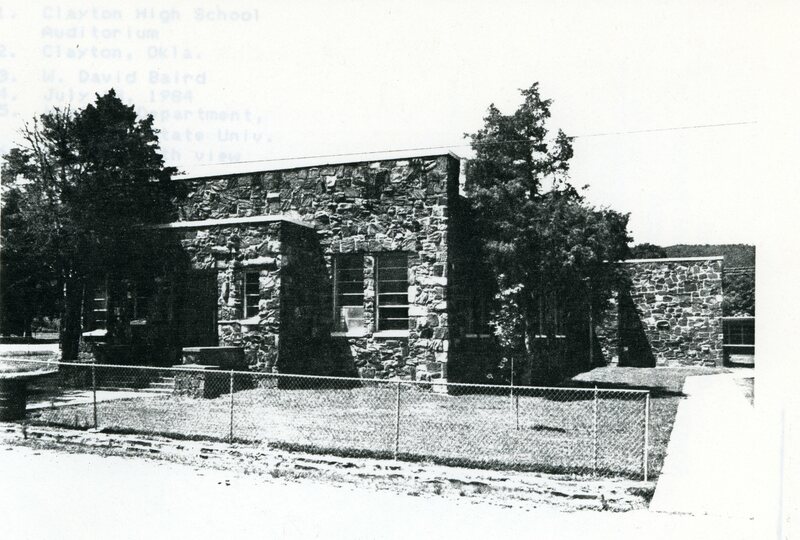 It and other WPA structures became the prototype of buildings constructed from uncut and uncoursed native stone during and after World War II.